HIROKAZU MIYAZAKI: I'm Hiro Miyazaki. I'm professor of anthropology and the director of the Mario Einaudi Center for International Studies. It's my pleasure to welcome you all to the 2016 Lund Critical Debate. Before I introduce our moderator, I would like to say a few words about today's topic, which is something I care so much about. 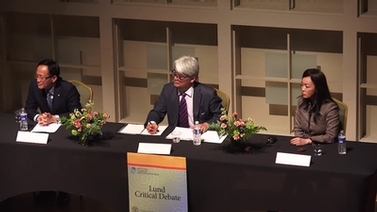 But since this debate is the Einaudi Center's last public event of the spring, I would like to thank my colleague, Heike Michelsen, for organizing-- [APPLAUSE] --and on top of many others this year. It's been a very, very busy year. Thank you, Heike. I don't know where she is, actually. Oh. Thank you. [LAUGH] Also, I'd like to thank our guests today, Daniel Lammen, Lauri Muranen. They've both come a long way to be here with us. Of course, Dan is from Ithaca originally. Our proud-- one of our proud Cornell alumni. Also take this opportunity to thank Rebecca Slayton and Assistant Professor of Science and Technology Studies, [? Vinny ?] [INAUDIBLE], PhD candidate in anthropology. Two experts on the social studies of nuclear energy and technology here at Cornell, who helped us organize this event. 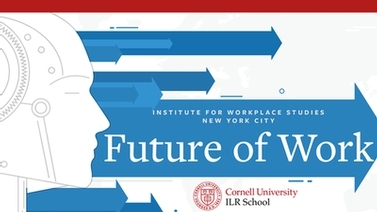 Finally, I'd like to thank Judith Lund Biggs from the Cornell class of 1957 for her foresight and generosity in creating this series and supporting it since it launched in 2008. Judy couldn't be here with us today, but her impact is felt, not just on debate day, but throughout the year. I don't know whether it's by design or by luck, but these debates always seem to be particularly timely. Last year, for example, we had a debate about US policy in the Middle East, and it took place on the day when Israeli Prime Minister Netanyahu was in Washington addressing Congress. Today's event is equally timely. Just a few days ago was the 30th anniversary of the Chernobyl nuclear disaster in Ukraine. And just a few weeks before that was the fifth anniversary of the Fukushima disaster, when the earthquake and tsunami struck the Fukushima Daiichi Power Plant on Japan's Pacific coast, and caused three reactors to melt down. And just 10 days ago, on April 22, representatives from 175 countries formally signed the Paris Climate Report, pledging to reduce carbon emissions. And these countries are now searching for ways to achieve that goal. These events have refocused the world's attention on nuclear energy's promise and risks. I don't want to suggest any bias when I say this, but nuclear energy is a complex issue, and not the sort of issue that you can contain in a single box. It raises questions of physics and engineering, of politics and economics, and of geology and climatology and law and culture, and of national defense and international trade. And of course, of public health and public safety. It also forces us to confront tricky concepts like, what constitutes acceptable risk in the face of uncertainty? Uncertainty of the climate, uncertainty about technology, and about human behavior. In other words, it's a perfect topic for a university like this one. And we are working on it. The Einaudi Center and its partner, Meridian 180 in the law school, have created a global working on nuclear energy composed of people from different disciplines and from around the world. In December and January, we held an international online forum on nuclear energy and climate change. In March, we sponsored a roundtable on the lessons we've learned from the three major disasters at Chernobyl, Three Mile Island, and Fukushima. 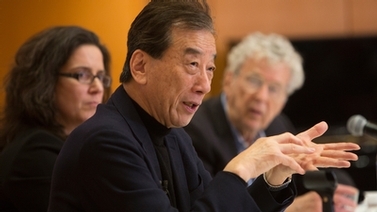 In July, we'll be meeting in Okinawa, Japan with scholars, lawyers, and activists to look for ways to move the conversation forward about national, regional, and global regimes for the regulation of nuclear energy safety. And in September, our annual Bartels World Affairs Fellow will be Sveltana Alexievich, the winner of the 2015 Nobel Prize in Literature, who chronicled the aftermath of the Chernobyl disaster. In each of these initiatives and events, what we are trying to achieve is the creation of a space where pro-nuclear and anti-nuclear advocates can work productively together, which is not an easy task. And that's what I hope today's debate will help us do. Although, that, of course, is up to the debators and the moderator. Our moderator today is Annelise Riles, Jack G. Clarke Professor of Far East Legal Status and Professor of Anthropology. She has written on a broad range of topics, really broad, from Fijian material culture to Korean comfort women and central banking. And her most recent research focuses on legal innovation in compensation claims against Tepco, the operator of Fukushima Daiichi Nuclear Power Plant. She's also the Founding Director of Meridian 180, an international community of more than 700 scholars and thought leaders. Welcome. ANNELISE RILES: Thank you. Thanks so much, Hiro. So it's great to be here to be part of such a consequential conversation, and to be at this table with such esteemed colleagues. Thank you both very much for coming. It's also exciting to be here under the auspices of the Einaudi Center, which lends a certain international and comparative tilt to the conversation, which I think is sometimes lacking. So that's exciting too. So let's get right to it. The question under debate today is, is nuclear power the answer to climate change? And so what I want to do first is say a few words about the format. But before I do that, let me first introduce our esteemed guests. So to my right, your left, Daniel Kammen got his bachelor's degree in physics here at Cornell in 1984. He went on to get his PhD from Harvard. And today, he's the class of 1935 Distinguished Professor of Energy at the University of California Berkeley. He's also the Founding Director of Berkeley's Renewable and Appropriate Energy Laboratory, Co-Director of the Berkeley Institute of the Environment, and Director of the Transportation Sustainability Research Center. Dan has written or co-written 12 books, including a book about measuring risk. And he has been the lead author on several reports of the Nobel Prize-winning Intergovernmental Panel on Climate Change. He was the World Bank group's Chief Technical Specialist for Renewable Energy and Energy Efficiency. And in 2010, he was named the first Clean Energy Fellow to the Americas by then Secretary of State Hillary Clinton. He has served as an advisor to President Obama and to California Governor Schwarzenegger. His CV is more than 50 pages long, so I think I'll leave it at that. To my left, your right, Lauri Muranen comes to us from Finland, where four nuclear power plants provide nearly 30% of the country's electricity, and where two companies are now building the world's first high-level radioactive waste repository. He heads the national chapter of the World Energy Council, a global energy body founded in the 1920s, whose mission is to promote the sustainable supply and use of energy for the greatest benefit of all people. He's also Secretary of the Energy Committee of Finland's Social Democratic Party, and has served as Secretary General of the Finnish Energy Council, and is a Nuclear Energy Advisor to the Finnish Energy Industry's Trade Association. Lauri holds a masters in environmental technology from Imperial College London, and he's known in Finland for his public engagement with energy issues, debating the merits of nuclear energy with parliamentarians, professors, energy industry insiders, and anti-nuclear activists. So welcome both. So rather than ask our guests to produce formal statements and speeches, as we've sometimes done in the past in this debate series, we're going to conduct this debate more like a conversation. So I am just going to open up some questions and allow the two of them to speak as directly as possible to each other in hopes that we can get to the bottom of the points of consensus and disagreement. So let me start with a broad question for each of you, as follows. So you are both committed environmentalists. Nuclear power is an issue that divides the environmental community in some interesting ways. So if I believe strongly in environmental sustainability and environmental justice, should I be a supporter of nuclear energy solutions, or should I be advocating for limits on our reliance on nuclear power? So Lauri, can we start with you? LAURI MURANEN: Sure. Firstly, let me thank you and all the organizers for inviting me here. It's a great honor. So I'll go to the point straight away, as you suggested. 10 years ago, I used to work for Greenpeace. I'm of the generation to whom climate change and runaway climate change has become the sort of defining issue of our time. I never had any strong opinions about nuclear power during that time. But ever since then, I've dedicated my professional career and a lot of personal time to look into these issues. And I also want to say that I don't see this issue that nuclear power is the silver bullet that solves all our problems, but I consider it a very important part of the solution. Anyway, I got curious at some point after finishing my work at Greenpeace about solutions to climate change. What works and what doesn't? And after looking at the evidence, it has convinced me that nuclear power is indeed essential if we want to address climate change seriously. Let me give you an example. After the first oil crisis in 1973, several countries ramped up their nuclear programs. For example, from European countries, you pick up France, Sweden, and Switzerland, which all managed to decarbonize their electricity systems within a span of two decades. And may I remind you that they didn't mean to reduce their greenhouse gas emissions. They did it by accident. And when you look at the poster childs of the climate debate today, for example, Germany and Europe, when you look at what Germany has done in a given day or the energy transition that it's going through at the moment, it has had 25 years of time to decarbonize its energy system with little to show for it. Germany at the moment produced-- a kilowatt hour of electricity produces about 10 times more carbon emissions than France does or Sweden does or Switzerland does, because they have a mix of generation that consists of mainly hydropower or nuclear or both. Unlike Germany that still relies heavily on natural gas and coal. Another thing that I found very curious during this sort of fact-finding mission that I've been on during my career is the pace at which the world is increasing its energy use all the time. If you look at, for example, the past 30 years, I've come back to France again. The world has increased its energy consumption by an amount equal to what France uses every year. And we've increased, though, the global energy consumption has increased by one France every single year for the past 30 years. And when I look at, for example, the scenarios that the IPCC has, for example, reviewed, how to stop using fossil fuels by 2050, for example, as the Paris Treaty suggests we should do, and the science suggests we should do, all the scenarios rely on very optimistic sort of approaches or assumptions about how much we can reduce our energy consumption. Based on the past 30 years, I found it highly unlikely that we could do that. And let me just finish up with a few more points. Nuclear power is blamed for many things, but one thing is very often forgotten. What got countries interested in nuclear power in the first place is energy density. So in other words, I looked into how much each of us-- you know, Finns and Americans actually consume about the same amount of energy per year. And I looked how much fuel you would need to produce all the energy that you need during your life, and all the electricity, all the miles you drive and fly, and so on and so forth. With nuclear energy, you'd need about one bucket. Depending on the technology, if you used advanced nuclear technology, you would need a soda class of fuel to provide all the energy. With oil, you would need 500,000 liters. I don't how many gallons that is, but it's still-- I assume it's a lot of gallons as well. [LAUGHTER] But anyway, if you compare one soda can with a fifth of an Olympic-size swimming pool, you get to sort of picture what those sorts of volumes are here. And even all the waste, nuclear waste that the world has generated so far, you could actually fit the global-- I mean, I'm talking about the world. Not an individual country, but the world. You could fit that into a football stadium. And if you start piling up all the swimming pools next to the football stadium, you start to realize that there's a huge difference between the volumes. And finally, I would like to end up my opening remarks by just saying that if you consider climate change a serious issue-- I consider it-- most widely, it is irresponsible to exclude one of the means that we know has worked in the past in terms of reducing our greenhouse gas emissions. And if I was alone, I wouldn't blame you for considering me one of those tin foil hat-wearing lunatics. But there's a growing group of people around the world that's grouping up under the umbrella of the ecomodernist movement that is sort of taking a different approach to technology, such as nuclear power and GMOs, for example. And maybe we should not exclude any technology like that. And maybe we should view different approaches and technologies one by one, and then decide whether we need those or not. And last year, we founded the Finnish chapter of ecomodernists, and we've collected a group of people who care deeply for the environment, but have, for one reason or another, felt that they've been excluded from the traditional environmental movement in the past. I would say that this represents a very important challenge to the sort of traditional way of looking at things. I admit, it's controversial. But I would like to open a debate with those remarks. ANNELISE RILES: Thank you very much. Dan? DANIEL KAMMEN: Well, my thanks as well for holding this. It's an amazing topic. It's a critical topic. And to getting all the students here and to having this kind of interesting dialogue. And much of what Lauri said I think is right on the money. I think if you look at the biggest challenges we face today, climate change absolutely has to be at the top. And the perceived debates, the doubters, all of these issues that have receded to some extent, but far from fully, have obscured how critical that story is, and how what sounds like only a few degrees difference is absolutely planet-crippling in the long run. And so he's absolutely right that climate change up front needs to be part of a driver. And it does demand that everything that we know how to do be on the table for analysis. I think that's got to be a starting point in the story. I view the story-- and I hope we come back to it in the debate-- then looking at climate change and energy access as really co-equal parts of that story. If we don't address both of them, then we don't get there even if we manage to preserve the planet. Although we all recognize as experts that we are already committed to a significant amount of climate change, even if we turned off all fossil fuel emissions today. We have already started the ball rolling to a significant degree. In that context, all of the arrows in the quiver, or as Al Gore likes to say, not silver bullet, as Lauri said, but silver buckshot needs to be part of what we analyze. The challenge, though, is how we do these matters critically. And I think your opening question was really, should nuclear be a key part of the solution? And I think from my eyes, it's a very simple perspective. If nuclear could deliver everything that its strongest proponents believe that it can-- technically, economically, and risk-wise-- there's no question it should be part of that conversation. The challenge is we have a range of options. We have a very, very short clock to solve climate change. We basically have one human generation to undertake in two to three decades what took us 150 years, at least in the first Industrial Revolution. And so the clock is ticking to a degree that really changes many parts of the story, and that makes nuclear very attractive as an opening part of the picture. The howevers and the buts in that story are really deep, though. And figuring out how we manage the set of risks for nuclear and the other technologies makes it a much more challenging picture. And so very roughly, for nuclear but for all technologies, but focusing here on nuclear, risk of a technology, cost of the technology, and the degree to which it can be integrated into a system that gives us a livable planet, not just one that has enough energy resources kind of in theory is where we need to get to. And when you look at those items together, it becomes a much harder story to be as optimistic as I would like to be about nuclear power. And I'm a professor of nuclear engineering, and so we talk quite a bit about these elements. The first place to go is the risk story that we've heard highlighted in terms of Fukushima Daiichi disaster, what took place in a number of the high-profile accidents. And one thing that we've learned not only from the nuclear story, but also from what's taken place with our response to risks like terrorism and other things, is that so far, we have only been good at managing risk retroactively. After a disaster, we wring our hands and figure out what we could have, should have done. Every time there's a new suicide bomber or something else, you get a great outcry and a great response to something that's already taken place. And unfortunately, nuclear is very unforgiving if you don't get it right ahead of time. And in terms of the technical management, the human systems, we could get it right. And there are some huge successes in what's happened in nuclear power. I'll try to mention a few of them in the conversation part. But we've seen how large the risks are. And so this issue about, what's the volume of waste, I find one of those distraction stories. It is technically, absolutely true. But the severity of those accidents doesn't get easier if you compact the amount of waste. In fact, in some areas, it gets harder. If we just look at the US, the amount of waste that we have festering at the nuclear reactor sites and so-called spent fuel pools-- something I can't say quickly very easily-- would fill Yucca Mountain, our most recent planned storage site, 2/3 already. And that's before we've opened it, and we won't be opening it for some time, if ever. So the risk issue is very complicated in this regard. The second one, and one of the reasons why even if you get past this risk story-- and we perceive risk very differently if it's a risk that we take on voluntarily, like skiing, or a risk that we don't have voluntary control over as part of our public challenge. But the other element of that story is that a nuclear proponent will quote a costs for nuclear power dramatically less than the price that a nuclear opponent costs. And there are ways that you can do the math that justify prices for nuclear as cheap as $0.02 or $0.03 or $0.04 per kilowatt hour. And other prices, even leaving out the risk, the dread factor, that are four or five times that. And so we're not even having a conversation where the basic cost numbers are compared in an equal way. There are some attractive nuclear technologies on the horizon, and that's one of the interesting features in terms of science and management. But the raw numbers are pretty scary in terms of nuclear playing the kind of role it needs to in these areas. Right now, nuclear reactors cost upwards of $10 billion. It can take five to 10 years. There's a reactor being finished in Finland where the cost overruns-- you'd be better than I, but they are a factor of two or three over the initial multi-billion dollar price. And so it's a very unforgiving financial technology because of these risk and management issues. The other story that really makes this challenging is that we know we need to reduce emissions by 80% or more in just a few decades. So nuclear should be on the table for that reason alone, because it is a low greenhouse gas technology. However, the global fleet of some 400 reactors with about 100 of them in the United States and almost 60 of them in France, that entire fleet needs to be retired over the coming three or more decades. And there is no current technical capacity at all to even rebuild that fleet as it retires. Now that doesn't mean we couldn't ramp it up. There's many discussions about that I think we'll have in a little bit. But for nuclear to just maintain its current generation level, let alone its percentage-- it's roughly a little under 20% in the US and 10% globally-- is a challenge that we're not ready technically to do. Now I'm a huge proponent of lots of clean energy technologies. Solar, wind, geothermal, a whole variety of options. And so I am a huge proponent of saying, let's scale up and dramatically build more capacity to do things. But given this unforgiving nature and this incredibly high cost, and the fact that we need to do this decarbonization in just a few decades, when nuclear would be really hard-pressed to simply do this, means that in my kind of broader assessment, nuclear absolutely should be part of the mix that we study and deploy where we're comfortable with the risks and the costs. But if it distracts us from massively deploying the technologies that are coming online, then even if nuclear wins, we lose. And that's one of the really critical parts of the story. So one of the things that my laboratory at Berkeley does is to build very, very high-resolution spatial and temporal models of the energy systems. We've built for California, for the western United States, for Mexico, for China. We're building one for India for the east African community, for Nicaragua, Chile, the Balkans. And in all of those different systems, we can find technologically and economically viable paths to meet that two-degree target or the 80% decarbonization where nuclear paths are some of the easiest to design. Because basically, wherever there's a big fossil fuel plant today, the model, effectively lots of details. It's an NP linear program, for the operational-- OR experts in the room. But we have vastly more scenarios on regional bases that meet the target that do not involve any nuclear. Now the easiest ones to design are almost always ones where you think, well, just ramp up nuclear. Because wherever you have a large coal plant, for example, you take it out, you add in a nuclear plant because you already have the transmission lines, you generally already have the water, you have a place where you could do it. And so if you think that utilities of the future are going to look nothing different than today, then that's a very seductive picture. But many places-- California, for example, did something earlier this year that no one predicted. Right now, solar is the largest low-carbon technology in California. Hydropower is number two. Nuclear is after that as number three. There is a point when energy planners in California envisioned a nuclear plant every 20 miles on the California coast, and we're down to one, and that will be closed early as well. And there's other places that have done similar versions of that story. And so while I don't think one should discount nuclear either, for many of the good reasons that Lauri said, this clock and this ability of other technologies that were seen as fringe even five or 10 years ago to play dominant roles has changed this equation. We're already looking at a picture in California where by 2030, two decades before this mid-century kind of witching date, we expect to be 50% renewables. And the California nuclear does not count, and large hydro doesn't count. And California has ramped down its importation of coal from 20% to zero. We're seeing a very different picture. And so the hard part of the story and why it's such an interesting debate is that you can absolutely envision scenarios where if nuclear performs as desired-- not necessarily as expected, because it has not performed as expected financially or technically. But the wide range of other solutions changes that picture. And so while we all know what a nuclear spill or a nuclear accident entails, you know, the joke in California, in Kenya, in Bangladesh, in Italy and Germany is that a spill of solar power is called a nice day. And there is just a huge range in how we have to think about how to manage those risks to figure out, what level of deployment, not level of research we need to do to make that equation of climate change come true in the timetable that it has to. ANNELISE RILES: Great. Thank you. OK. So it sounds as though we have agreement on the general idea that nuclear should be part of the mix, but Dan has raised a number of questions about risks, costs, and alternatives. So maybe I'm going to ask Lauri to comment on one piece of that. Let's drill down first on the question of costs. So it's true, as Dan says, that you hear widely different views on the question of what the actual costs of nuclear power really are. So my question for you, Lauri, is about the economics. Does nuclear energy make sense economically? Putting aside all other issues in terms of climate change and so on. But economically, does it make sense? Is it cheap or is it expensive when we take into account the full costs of storage of the waste and the possible risks, and so on? LAURI MURANEN: Thanks. Thanks. It's a very, very-- a very challenging opening statement. It's a good-- DANIEL KAMMEN: Well, we're still trying to debate, right? LAURI MURANEN: Thanks for the challenge. But let me first address the issue of [INAUDIBLE]. Finland is building its fifth reactor that has witnessed a lot of cost overruns. But I wouldn't use that as an example of a case that should convince anybody that nuclear power can't deliver or can't be built within budget. I mean, if you look at, for example, failed solar projects, which there are plenty around the world, that sort of guilt by association argument, if you follow the logic, would mean that the same thinking should lead you to conclude that solar panels or solar projects, major ones, can built on time and under budget. But the question of economics. You know, United Arab Emirates ordered four reactors from South Korea about five years ago, and it's one of the sunniest places on the planet. Why did they do that? They realized that they need a wide portfolio of electricity generation. And in my knowledge, they are keeping to budget. Finland, despite having problems with the fifth reactor, another company in Finland decided to build a new reactor, a sixth one. And they are now constructing it as we speak. And the reason why the company still believes in the technology is the fact that in the Finnish case, there are a lot of energy-intensive manufacturing companies behind those utilities that build those plants, and they want certainty about their energy costs in the future. And therefore, while nuclear power is certainly not cheap, because you have had to include all the external externalities into the production costs-- I mean, it costs about four or five times now than it used to 30 years ago. So therefore, it's not cheap, but it's predictable. I mean, for example, the fuel cost, you know exactly how much your energy will cost for the foreseeable future. But let me turn the table around a bit. Finland is a very northern country. I encourage everybody to visit the place, but still, we have about three months of no sunlight whatsoever. One of the cities in central Finland actually did a very questionable record. During a period of three months, they only witnessed 18 hours of sunlight. DANIEL KAMMEN: Sounds like Ithaca. [LAUGHTER] LAURI MURANEN: OK. So I'm here during a very, very lucky period. I mean, I can see some gray light seeping through the clouds here. Anyway, if you have an environment like that and you design your system based on, for example, renewables alone, it puts lot of constraints on, for example, solar energy production. And you need to sort of answer that question of intermittency, and it hasn't been answered. I've seen a lot of these models. For example, a Finnish energy system that's 100% renewables-based, and they rely on storage technologies that exist, but we'd lack the natural resources to do that. For example, this American guy, Mark Jacobson, he's done these models for, I believe, all countries around the world, how they could run their energy systems based on 100% renewable sources. And in his models, the Finnish case, it requires an energy storage of 170 gigawatt hours. And in order to provide that-- and he assumes that we use lithium ion batteries for that. And in order to acquire that lithium for those batteries, we would need the world's total supply from the space of two years. And you know, I don't need to remind you, but Finland has maybe 0.1% of the world's population. So I mean, just these things, these sort of models, they don't add up. And therefore, I would say that despite nuclear not being as attractive as it perhaps was 30 years ago, it's still reliable, and we know exactly how much it's going to cost despite some failed projects. ANNELISE RILES: So maybe if I could just ask a quick follow-up. When you say it's going to cost, you frame that in terms of what it costs to companies. Are you incorporating government subsidies including possible costs for clean up? I mean, I know in Fukushima, we know that Japan has spent now-- the taxpayers have spent over $100 billion US dollars cleaning up that. So are you incorporating that when you say this? Or are you thinking of it more from the company's point of view? LAURI MURANEN: Yes. I mean, if the reactors that were hit by the tsunami and the earthquake in Japan would be the design that we are building in Finland at the moment, we would not be having this discussion about Fukushima accident, because it would not have happened. And current reactors, they incorporate this-- I mean, that's the reason why they are so much more expensive than they used to be. In the Finnish case, I don't know how they've organized it elsewhere in the world. But there's a law that requires the companies to set aside required earnings and sufficient funds to take care of their spent fuel. And we actually have a spent fuel management company that is going to be operational in the early 2020s. And we will be the first country in the world to have an operational deep geological repository in the world. ANNELISE RILES: Great. OK, thanks. So Dan, so maybe if you could drill down in this cost issue in particular. Maybe talk a little bit about the subsidies question, and also the suggestion here that the private sector can model what the costs are, and therefore, we can set aside funds necessary to handle those costs. And finally, his point I think that there are costs, intermittencies, and confusion surrounding some of the other technologies as well. DANIEL KAMMEN: So I'll try to get through some of them. So the same sort of challenges that Lauri faced in terms of doing the cost, you have it on the other side too. And that's because the cost of nuclear is particularly hard to pin down based on how you draw the system boundaries. The US also has the same law, that all of the companies that operate nuclear reactors do have to pay into the fund. And essentially, there's one company that insists that they put aside enough. But almost every expert, even within the industry, says it's absolutely nowhere near that. A fraction of what it would cost. And that doesn't even include the fact that building repositories like Yucca Mountain, again, which we built and are not using were not paid for by the companies. And that doesn't include any of the cost to deal with risks and issues. And I would agree strongly with Laurie that as tragic as it was, accidents like the Fukushima one are not ones you can really price out. It just doesn't make sense to put that-- things that happened at that scale, whether it's energy systems or otherwise, are going to be dealt with public dollars in whatever country. And so there's an issue around that. The price issue is challenging, because on the nuclear side, you have to say, what is the cost per kilowatt hour if you forget all the rest of the system, if you forget risks? And on the renewable side, it's challenging because you have to say, well, it's not just solar. It's not just wind for the reasons that Lauri said. You have to build in the storage part of that story as well. And we won't be able to get into all of the details of it here, but one of the most telling and interesting aspects of the story is something called the learning or the experience curve. And it is not a fundamental law of economics. It's much more of an observational, empirical rule. But essentially it says that for technologies that we can mass produce and deploy, we observe the cost drops by about 20% every time you double the number of those widgets deployed. Solar panels, Bic pens, condoms, anything that you mass produce, it falls into that same category. And again, it's not basic economic theory. There's a long argument that goes back to the '30s. For the technologies that we do mass produce, and not just renewables, but the control of technologies for natural gas power plants, a whole variety of features, we have observe that law. Some are a little steeper, like solar is actually declining a little faster than 20% for every generation, or doubling. Others like wind are a little slower. Natural gas was fast, and now it's slowed down as the technology's become very, very mature. The only large-scale deployed technology for which we observe not just no learning, but actually what I guess you'd have to call a forgetting curve, is nuclear. And that's a fact. The price of nuclear has simply risen. Now Lauri mentioned some of the good reasons. We employ more and more safety systems because we see how challenging and unforgiving it is. But that was really my point about issues that range from energy ones, to our retrospective response to terrorism issues or other challenging situations. And as we think about building more and more of anything, we will get into different levels of risk. One of the features of this energy story, focusing on nuclear, is that we have, again, over 400 reactors around the world. And right now, the total planned budget for reactors that will be built between now and about 2035 is optimistically 60, half of which will be in China. And so that doesn't even get to the scale we're talking about here. Now this issue of integration is really interesting, because when the new renewables, solar and wind and ocean energy and geothermal were new and expensive, we really only focused on the price of that new technology, not also on storage. But solar and wind in the United States deployed at utility scale are now cheaper than nuclear plants. Cheaper. Not with subsidies, but they are cheaper today. That doesn't mean they're inherently better. That just means they are cheaper. And the forecast for installing those technologies with storage, which deals with intermittency, are now, in some places, coming to our current market price. The forecast is very bullish for where those different storage technologies [INAUDIBLE]. And Lauri mentioned the issue of lithium. It's absolutely right. Five years ago, lithium seemed like the only storage technology that was a new chemical one beyond pumped hydro, compressed air, some other traditional ones. Now storage is doing what we saw solar do. That doesn't mean it'll get there. But the diversity of technologies and the much larger ability to learn by scaling up is part of the story. So essentially, the story of solar comes down to three epics. After the birth, which was designed for super expensive space applications, Japan, through a very coordinated program of first building up an R&D capacity and then a deployment capacity, carried solar down that cost curve when no one else was doing much of anything. Germany took up the ball in this energy transition, the [INAUDIBLE] that was mentioned before, and carried the ball forward. And then California, and now it's spread a huge number of ways, so that a technology that was seen as never more than 3% or 4% or 5% of generation capacity now in many models, in many good models, is seem as something that could be 50% or more. And Lauri mentioned one particularly-- I hate to say it on camera-- poorly done model. In fact, there's a paper coming out with more than 30 experts from around the world, essentially poking holes in one particular model that you mentioned. But the diversity of other ones highlights we absolutely could get there with a diverse range. Some of those scenarios do include nuclear. And in fact, countries like Finland that have less solar or other resources are places where you could envision an easier or a higher need than other areas. And so this is not meant to be an argument to exclude nuclear. It's meant to be an argument about, where do we expect to learn enough to bring those costs down? And so it's a challenging balance to say one should exclude or not, because that's generally what happens in the public dialogue. You get kind of a newsreel perspective of, oh, well, we should just look at these and not those. And that's really what that one paper you highlight did, and I think did wrong. But we know that we're going to have to have a diversity of these cases explored. And my worry, I said before, is that while we could in theory get there with this massive scale-up of nuclear, we're nowhere near there in terms of technology economic storage. And in this short window, the billions and trillions needed would come at the expense of deployment of other technologies. If we had a fund above all of the above, that would be a different picture. ANNELISE RILES: Interesting. So this raises a lot more questions, but I think we should move to another topic. Let me ask you about another issue you raised, Dan, on your risk side of the ledger, which was waste. So could you tell us in a nutshell, is it possible to dispose of or contain or recycle nuclear waste in a safe and responsible way? DANIEL KAMMEN: So again, you're going to get the same squishy, iffy answer. Some of the new storage facilities like in Finland looked very attractive. Other storage systems that we've tried are wholly failures in terms of containment. The facility in the United States that was seen as the absolute best of the facilities-- not Yucca Mountain, but something called the WIPP facility in the southwest-- was seen as an absolutely wonderful case until just 15 months ago. They had an accident, a fire, a hydrogen leak, a whole series of issues. And so the challenge isn't, could we in theory do it right? We absolutely could in theory do it right. The challenge is building a robust enough system that gives us enough energy options. And so if we discover in the coming not months, years, but decades that these new storage solutions like the one in Finland work out, that changes the answer. But in my mind, it changes the answer from what we do 2050-onward. It doesn't change what we need to deploy in the shorter term. So we have ways to do it. One that you mentioned, for example, of recycling the waste was actually the technology around which nuclear was designed to be built. An integrated system of reactors that recycled and bred more fuel then they started out with. And in the United States, we turned off that program because of risks for plutonium. And as we've seen in an unstable world, there are some real reasons to be worried about that. But even the reprocessing facilities were really designed to be used in a system where the fuel was very scarce and very expensive. And the countries that operate reprocessing facilities today-- France and Japan-- are doing it at a massive financial cost. So that doesn't mean we couldn't do it wonderfully well. We need to learn. And one of the challenges comes back to that learning curve I mentioned. Even if it really works well, we're not going to bring the cost down, manage the risks better and better, unless we can build enough of them. And one of the challenges of nuclear is that you just don't build enough of the units because they're so expensive. So this opens a door to a topic that we may come back to about small modular reactors that might speed up that generation time. Smaller machines, maybe build more of them. You learn more. There are some other safety features built in. But we have zero of those deployed. And this is not a problem that we can wait and discover, does that technology work? We have to be deploying gigawatts of clean energy today. ANNELISE RILES: Great. So Lauri, I mean, one of the reasons it's so great to have you here is because Finland is on the cutting edge of this waste question. So what is your view? Can we dispose of or recycle or contain waste in a safe way? LAURI MURANEN: Yeah. I would actually say that spent nuclear fuel, or nuclear waste as it's called in the usual language, layman's language, it's a political rather than a technical issue. Firstly, we know exactly where the waste is. It's the only form of waste from human industrial processes that we actually can account for. And for example, fossil fuels. We spewed waste out into the atmosphere. And in addition, I mean, radioactivity means that the element is unstable to begin with. So it has a half life. I mean, we have a lot of waste products that are actually eternal. But we don't require the same sort of rules for dismantling or for disposing of those elements. But rather, we dilute them into the environment, hoping that nothing bad happens. So I'm just saying that we apply very stringent rules on nuclear waste, but not perhaps similarly hazardous waste. And in Finland's case, we are, at the moment, I've been there twice at the research laboratory. And it goes down to 400 meters in the bedrock that's 1.8 billion years old. And one good thing about Finland, despite our lack of sunshine, is the fact that our bedrock is very stable. We know exactly what will happen to it, at least in geologically very short periods of time that we are talking about in terms of nuclear waste. And we actually have natural analogies of nuclear waste, what happens to it when it's left unattended. I don't know if you have heard of this place called Oklo. It's in the Eastern Gabon. It's in Gabon, in Eastern-- oh, sorry-- Western Africa where they actually have found remains of natural nuclear reactors. And in there, they're found out that the so-called spent fuel, as you would term it, didn't move in one billion years. It didn't really move. We know that natural processes don't move these things around if the environment is right for that. But despite Finland's approach to it, I would still say that the world would be mad if we didn't consider adopting or developing advanced nuclear technology so that we can get rid of the long-lived waste and the more sort of difficult [? axonites ?] in the spent fuel. And instead of using 1% of the energy content in the fuel, but use about 99% of it. And to me, it makes more sense to get more out of your energy than less. But I would say that nuclear, the issue of nuclear waste can surely be answered, either with geological repository or with advanced technology. DANIEL KAMMEN: So I have to comment back. Because I think that's right. And if we could do that much larger use of the waste, it would make it much better. I mean, there's no question. [INAUDIBLE] the economics, it minimizes the waste, et cetera. The challenge is-- and not all countries are as good at managing not just this, but a number of risks as Scandinavia and Finland as one of the examples. In the United States, I've already mentioned the Yucca Mountain fiasco investing well over $30 billion-- perhaps much more, it's hard to get the numbers-- and not having a workable facility. Not just because we chose not to use it, but because we hadn't done the hydrology right. And the story of the Oklo natural reactor is just a beautiful one. I teach it every year in physics class, because you had a supply of uranium and some plutonium, and as the water level went up and down, the water is a moderator, so the reactor got turned on and off, and in a place where the water table for a billion years just did this back and forth. It's the most beautiful story. And you see the wonderful yellow cake in the seams of the rock. It's fabulous. That's one management regime. But we discovered the Yucca Mountain was chosen because the initial assessment said, there's no water. There's no risk. But then we discovered the water table's much higher than we thought. We spent billions to do so. And the estimates are that the containment vessels would break down much more rapidly and actually get into the water system. And that's in a well studied case. Then we have what the US has actually done with its waste. Rocky Flats, Colorado. A zone near, ironically, our National Renewable Energy Laboratory where without reporting it, they sprayed the nuclear waste onto the land so cattle would eat it. Russia-- I've been to the place where as you get there the sign says, drive fast to minimize exposure. That is not a good strategy. Now that's not what they're doing in Finland. In California, we dropped barrels of nuclear waste near the Farallon Islands. There are multiple versions as the industry expands until there is a strong pushback on waste management, on risk management, because of events like Fukushima and others, that we get very lax. And the problem isn't the theory. Nuclear is wonderful in theory, and may be wonderful in practice. But the actual implementation is very hard. And we have at least here, and I would argue a number of other countries, including some that are seen as nuclear winners, have done a very poor job of managing that, not just for human health, but also for environmental health and for massive extra cost. And so I agree with everything Lauri said about how we could do this, and I absolutely do not want to turn off the research program we have. And there are countries where it makes a great deal of sense. But the challenge to address these problems with nuclear waste is really daunting. ANNELISE RILES: So what about that? So Lauri, I mean, it is true. Finland has a reputation for being a remarkable culture in terms of its ability to manage risk, and so on. But what about Dan's point about the fact that not every country where we're seeing these plants popping up is a Finland, right? That in many parts of the developing world, we're now seeing proliferation of nuclear power, and so on. So what differences in regulatory cultures, and the fact that we have different levels of risk management in those cultures? Should we be concerned about that? LAURI MURANEN: That's a very good question. Let me just make one remark regarding advanced nuclear technology or, you know, how to get rid of the waste that way. I find it just funny that people who are deeply interested in energy technology and the energy sector as a whole have an endless amount of imagination in terms of thinking of solutions to issues. But that imagination tends to stop when it comes to coming up with solutions for nuclear power. That imagination tends to be harnessed to come up with problems with nuclear power. And I find it a very interesting aspect of the debate. But to answer your question about these regulatory frameworks, we have a global nuclear watchdog, such as the IAEA that's job is to, for example, exchange information and practices between national regulators. And I wouldn't say that the problem is as bad as Professor Kammen suggested. Like I said, we do know where the spent fuel is. We do you know ways to get rid of it. But then again, when a nuclear fuel comes fresh out from the reactor, you have to cool it down at least 40 years before you can even put it down into a geological repository. And I've actually-- I mean, if you visit a nuclear power plant, you get to see the waste. It's lying down in this pool, spent nuclear fuel pool. And only two meters of water or rock or granite, whatever, absorbs all the radiation shields, all the radiation that's emanating from it. And I'm just saying that we know ways how to store it for the foreseeable future until we have better solutions. And we should definitely utilize all the international organizations to sort of share best practices in order to come up with the best solutions. But like I said, I don't consider these issues as bad as we've heard. ANNELISE RILES: So on that point specifically, I mean, what are your thoughts, Dan, about prospects for international coordination, international regulation as a solution? What should we be thinking about doing? Who are the actors who can take on the job, and so on? DANIEL KAMMEN: So I mean, I think that the same challenges really extend there. I mean, one of the features that's most attractive about where nuclear could go in the future is that if we get away from country-specific plans-- the standard-- joke is the wrong word, but kind of the standard framing of what France did right-- and this is a huge simplification-- is that France standardized their reactor design, and that meant standardized not just the hardware. It standardized the risk protocols, it standardized the jobs. And so if you left your job at a reactor in Grenoble and you went to Paris, there was an equivalent job, and you could build expertise, and you could learn from that process. And what they gave up were reactors that weren't quite as good as the best theoretical advanced models, but they gained a great deal in that standardization. France is actually moving away from nuclear, not from the reactors they have, but by diversifying their energy mix towards solar and wind because of how attractive those have become, and how they diversify the mix. And so if France gained something by standardization, moving down those learning curves, the United States did the opposite. Each of our plants, our designs were uniquely different. We had real challenges with the replicability. Famously some risk management protocols, emergency protocols, the books you flip out and deal with things when problems happen were unique for some reactors. Some reactors had the plans for other reactors. I mean, it was a managerial boondoggle. One upside of the standardization is that an international group could work with some preferred better designs. The problem is that it is so unforgiving. And the examples I meant weren't meant to kind of highlight the downside risks. They were meant to highlight the degree that familiarity breeds a level of laxness, and we observe that in all kinds of systems, not just energy systems. We are just consistently-- we get comfortable with things we know until we go wrong. So it's easy to look back at the Fukushima Daiichi disaster and say, first of all, no one expects an earthquake of that magnitude. Well, except for in places like Japan and California and elsewhere that experience them. And you can't expect that and then the tsunami. Well, sort of, yes and no. But then the management plan for those reactors involved diesel backup generators that in hindsight look crazy. Why would you have them near in a low-elevation place where they could be flooded and be made non-operational by the same accidents? That's where the accident takes out your primary and your secondary. There was a famous case in the United States where the DC-3 aircraft had its primary electronic wiring in the same tube as its secondary. And so when you had an accident in the [INAUDIBLE], you lost both the primary and the backup system. And it's that level of familiarity breeds contempt or laxness that's the real challenge in getting this process to move forward. And so the idea, for example, that we might move to an international regime where the reactors were these much smaller ones, something I have different worries about, and so we build more of them, and they'd be more standardized, and whether they were installed in downtown Ithaca or downtown Moscow or downtown Nairobi or downtown anywhere, and they would just be swapped in and out, is very appealing. Because you would get this learning-- the fuel and the reactor are packaged together. They'd be delivered as a unit. You literally plug it in, take it away, dismantle it in this ideal situation. And if we manage these things to the ideal, that looks pretty attractive. On the other hand, one nuclear accident can ruin your whole day. And if you replace one gigawatt reactor with four or five small ones, you increase the number of these operational issues. And I think we could solve those, but our history so far has not been to solve them. Doesn't mean we couldn't. So that's not an argument against this view that we couldn't do this much better. It's just, this puts a very high premium on the thing that we have shown so far we're uniquely bad at it. ANNELISE RILES: Great. Thanks. So before we open this up to all of you for questions, since this the Einaudi Center, I want to ask you, Lauri, if you could comment on something else Dan said in passing, which was, he's concerned about the possible terrorism dangers associated with nuclear reactors and nuclear waste. So how big is that concern from your point of view, and how do we manage it? LAURI MURANEN: That's an important question. But I would say that nuclear terrorism, I mean, the sort of terrorism where a group of terrorists would have access to spent nuclear fuel, I mean, that's the least of our problems, I would say. And if you want to build a dirty bomb-- in other words, a conventional explosive that spreads nuclear material into the environment, you have better options. I mean, you should probably break into a hospital where you have equipment used for nuclear medicine, the armor-guarded as well as nuclear compounds. Secondly, nuclear waste, especially spent nuclear fuel, is extremely difficult to handle and take from one place to another. I mean, one of those dry casks, I believe they weigh up to 125 tons. So it's easy to track, it's difficult to move, and it's almost impossible to do exactly what a terrorist would want to do with it. And I think it's very important to note that, I mean, this particular issue is not very high up in [INAUDIBLE]. And I agree. I actually think that this is not what made-- there's a whole field of nuclear security. Cornell is famous for working on this, among other places. It's not one of my top-level risks. However, on the other hand, I actually think that biological weapons are much easier to do. My physics students are less well equipped to make a nuclear device, clean or dirty-- odd language-- than my biology students who can do all kinds of other things. So I'm less worried about that. But on the other hand, some estimates are that 20% of Russian nuclear fuel is currently unaccounted for. And you just can't say, just because it's a 100-ton device that therefore they can't go missing. We've seen airliners go missing. There's a lot of things that go missing. And so I would worry if that's our defense. But I agree strongly that the risk of terrorist nuclear events is real. We should study it and work on it. But it is low down on my list of risks. ANNELISE RILES: Oh, good. So we ended on a slightly happy note. That's good. OK. [LAUGHTER] So now we'd like to open it up to questions from everyone who's here. So I think the plan is if you could raise your hand, we'll pass the mics. If you wouldn't mind introducing yourself and keeping your questions short so we can get as many people as possible in the queue. Thank you. So someone way in the back up there, if you could. And just get my eye, and we'll make a line. Great, thanks. AUDIENCE: Hi there. This is [INAUDIBLE] Smith. Dan, hello. Is it a foregone conclusion that human activities are the significant source of global warming, as opposed to just an exacerbater, or are we doomed even if we fix the human problem? And then, is the problem power plants or cars or both? What is really the percentage difference between the car fumes and the pollution fumes from power plants? DANIEL KAMMEN: Yeah, the non-human of the non-anthropogenic origins of climate change are not in debate. There are popular news debates. There are some skeptics. But that is a settled issue. And so we know that we are the cause of this climate story overall. It varies country to country, what's the mix. In general, most countries, a third of the carbon emissions are from electricity, stationary sources, a third are from vehicles, and a third is the carbon embedded in the goods and services, so manufactured and moved around in various ways. But it varies quite a bit. We have places like California, where over 50% from vehicles. We have other places that are largely dominated by their power plants. But a third, a third, a third is a good metric for that. AUDIENCE: Hi. [INAUDIBLE] for Energy at the Atkinson Center. So I think I know what the answer is. You pretty answered it at the beginning. But Lauri, we're really curious. If we look at the title of the talk, the title of the debate-- so the question's really, what's nuclear's role in solving the climate change crisis? And each of you has articulated that climate change is the greatest problem we face in this century, and in fact, you would argue it's the greatest problem to your generation. As I listened to you in particular talk today, it strikes me that your answer is also no, nuclear energy is not part of the solution, because the time scale to get nuclear where it needs to go, to answer the question, is impossible. Based on the conversation today, what we see is-- the projection for 2050 is even at best, there'll be fewer nuclear plants than there are now. So I'm curious. How do you do that? LAURI MURANEN: Thanks for the question. Sorry for the misunderstanding. I definitely didn't mean to say that nuclear power should not be a part of the answer. It definitely has to be part of it. As an example, I mean, I saw very interesting figures of countries, how fast they've been able to de-carbonize their electricity systems. And now I'm talking only about electricity. We have to remember that electricity, de-carbonizing electricity systems, that's for amateurs. I mean, transportation is even more difficult. Not to mention heat and industrial heat on that matter. But to answer your question, no, actually, the evidence is to the contrary. Decarbonization of electricity systems with nuclear power in history has been faster than anywhere we've observed renewable energy. Even the delayed nuclear power plant in Finland, when it's going to be operational in 2018, because of its massive size and Finland's sort of low population number, its per capita emission reductions will be faster than, for example, the rollout of wind power in Germany or German wind energy and solar energy rollout in the 2000s. So nuclear power, even with its current state, I mean, it takes a long time to build. But still, it's faster than renewables in terms of-- AUDIENCE: I guess my point was not just build. When did that plant start its first inception [INAUDIBLE] government? LAURI MURANEN: Right, right. Construction started in 2005 But the idea, I believe, the first-- well, this is actually a very good example of the sort of obstacles facing nuclear power. And they're not technical, but rather political. Political. And the first time, they actually proposed the plan to be built in the 1980s. Then the second time in the 1990s, and a third time later in the 1990s. And they finally got the political approval for it in 2002 and started building it in 2005. So yeah, technically, you can make decarbonization impossible with political decisions. But in practice, it's doable if you really put your mind into it. DANIEL KAMMEN: And just to be clear, I actually don't think nuclear should be phased out. I would love it if nuclear can maintain its market share. Market share, not generation mix. And scale it up, but beat the criteria laid out in the nuclear industry's own so-called generation for a road map. And that's basically for safer, cheaper machines. Not risk-free. But in my view, if you don't build it and deploy it, you won't do good research on it. And we need to explore these options. So I want to see a ramp up. I'm just worried. LAURI MURANEN: Yeah. Just one quick comment to accommodate down here. I wouldn't mind seeing a 100% renewable energy system if I believed that it could be doable within the sort of time frames we're talking about. DANIEL KAMMEN: We paid each other [INAUDIBLE]. [LAUGHTER] AUDIENCE: David Kay from the Department of Sociology. It seems like one of the issues that you focused on, which I think is really important, was the speed of possible deployment. And you've spoken a little bit to the issues of [INAUDIBLE] technical, political, social feasibility. But I'm wondering if you can kind of weight those a little bit, and put them in a context that [INAUDIBLE]. In other words, how important are each of those areas in terms of influence on the ability to deploy this top technology versus other technologies? And also consider whether policy-- you know, how much policy is a driver to that, as opposed to sort of, well, non-policy-driven issues? And if I could just add one more. And it's also really important to-- sorry, this is a big one. But one other issue that I think is really important just thinking about [INAUDIBLE]. If it is related to policy and decision-making deployment, the locus in decision-making at international, national, and local levels. And [INAUDIBLE] in that context, the issue that I deal with a lot is a lot of deployment [INAUDIBLE] distributed generation systems versus centralized systems. In distributed generation systems, you have a lot of site location at the local level. So what's that [INAUDIBLE] deployment? LAURI MURANEN: OK. So that's an interesting question. I would like to raise out a few issues here. Despite the cost reductions that renewable energy production has witnessed in the past couple of decades, there are a few very important issues with renewables that we haven't really discussed today. I'm kind of partially trying to answer your question here as well. And one of them can be observed in Europe as we speak. We have had policies in various countries in Europe. For example, starting with Germany, Spain, Italy, UK where we have had very handy subsidies that have been paid for renewable generators. But when those subsidies have become too costly for those countries-- Italy is a good example. They came up with a policy that promoted renewable or solar power generation, and they accidentally set the level too high, and they built 7,000 megawatts in one year. And that's a huge amount of solar power. And they realized, oh, God. We can't afford this. They pulled it back, and installation rates dropped back to less than 100, I believe. Similar developments have been seen in different countries. I mean, Germany has pulled out its support schemes or levered them down. And despite these actions, they are, at the moment, paying 25 billion euros-- I don't know, maybe that's $30 billion-- per year to subsidize these generators. And still, when you pull out those policy schemes, installation rates, they stop. And this doesn't even take into account the fact that renewables have one major sort of in-built tendency, that they all generate solar power when it's sunny or wind energy when it's windy. And that tends to push power prices down, and they cannibalize their own profitability. When you reach certain levels of renewable generation, you start witnessing that despite the cost reductions, the value you get for the electricity that you produce is lower than your production costs. And that is a major, major issue. And I just wanted to say, you know, share some sort of ideas about what's going on in Europe. But in terms of this distributed generation, I guess it has its benefits. But in terms of the scale that we're talking about, decarbonizing complete energy systems, I think it will be part of the solution, as will all the other things that we've been talking about here today. DANIEL KAMMEN: So we won't do the question justice, because that's a lot of pieces. But this is probably the point where we may disagree the most strongly, actually. Because what we're seeing in many places, Germany, Korea, California is just the opposite. That traditional utilities were all designed around trying to meet a late afternoon peak, generally when businesses were still turned on and people began to home. And so you had a double load, if you will. Now with high levels of generation of solar in the places that have promoted it-- and Italy is-- I mean Spain in particular, but Italy as well are places that designed their policies poorly in the beginning and have worked to correct them. We actually see the opposite. Now you can think about the question that we got from the back, because now we're starting to see programs to utilize that excess, if you will, solar during the day to start charging up vehicles and actually solving the rest of our story. Because nature doesn't care if we solve electricity but don't solve transportation. We have to solve the whole climate bundle. So now we're seeing places like California that have a mandate for a million solar roofs by 2020 and a million electric vehicles by 2020. And having power flowing back and forth, businesses installing storage in the basement, sometimes actual storage systems like flywheels or batteries, but also buying fleets of electric vehicles to utilize that power, and then you use it at night. And so in fact, it's planning that is that kind of issue that Lauri mentioned about these costs. But it's such a more forgiving technology. The idea that we can distribute on rooftops, distribute not only where the generation sites are, gain diverse security through diversity of locations, but now also do things to make property values rise by deploying these technologies. So I see the challenges of deploying much more renewables as actually ones that are pro-development, pro-equity in many cases, whereas that's not the case for some of these more unforgiving ones. So the last point I would mention on this diverse set of comments that you highlighted is that the challenge isn't really, do we generate enough power? Do we do it in a way that makes the rest of the system more livable? And we're simply seeing that greener systems, cities, urban areas that integrate energy generation and storage into the landscape, are a more pleasant system to live in than some areas that we choose to forsake, and some that we don't. So I do think there's a long-term [INAUDIBLE] picture. Nuclear can definitely play a role. And you heard my answer to Todd. I would like to see it ramp up. But these risks and downsides are pretty challenging to meet that distributed equity-building frontier, if you think about deploying it not just on rich people's homes, but on lower income projects, all kinds of things where you can build it into the infrastructure. ANNELISE RILES: OK. Yeah, go ahead. AUDIENCE: Hi, I'm Julia, and I'm a freshman of the humanities, so I know nothing about nuclear power. But my question is-- well, it has to do with my ignorance. But if you had asked me before this debate, what do I think about nuclear power, I would have said-- most of my peers, and I would have said, no way. Nuclear power's terrible. Look at Fukushima. And I would argue that a lot of people who don't know much about this topic, who don't [INAUDIBLE], who don't know the intricacy and details would have [INAUDIBLE] negative view towards nuclear power. And public opinion mattered a lot, I would say, in at least convincing governments to fund money or [INAUDIBLE] for a power plant. So if you already have this widespread public negative opinion, wouldn't that impact the ability of nuclear power to have plans to even be funded? Or how do you overcome that, is the question? DANIEL KAMMEN: So tough question. I mean, I'm hoping that we don't turn off some of these options, as Lauri said in his opening comments and I talked about as well. I just think we have to build out the infrastructure, but also public understanding of them. And the science community you know does a bad job at this. Because we have had the science of climate change quite clear for well over a decade, and arguably more. And we've done a-- pardon the Finnish-- a piss-poor job in explaining these risk and issues. So we're bad at exactly what you described. That's why people who aren't just engineers, just physicists need to play the leading role in this dialogue. Because it is really about building systems, not just about peddling a technology, whether it's solar or nuclear, or something else. ANNELISE RILES: So wait. I just have to-- I'm sorry-- I just have to ask you to clarify a little bit. Because I heard you in the last half hour telling us that in theory, these systems all work, but in practice, you give us a litany of problems. And now you're telling us, actually you're quite favorable toward this. So I just want to make sure that everyone understands where you actually stand. I mean, could you clarify a little bit? DANIEL KAMMEN: Yep. I tried to say it pretty clearly. 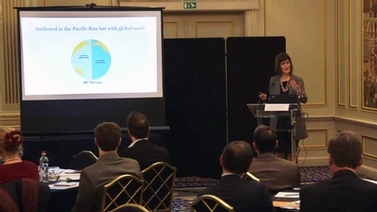 If nuclear can meet the milestones the industry has set for itself-- not set by outside, but the nuclear industry both in the US, in Europe, globally, said, we want nuclear to do the following things around cost, around waste management, around risk. And if those can be hit, it's a critical part of the story. Now the question you didn't ask is, what mix of energy you think will work if we don't have nuclear? And in my view, based on where I see technologies going, I see a world that in 2050 or more is so far from conceivable 15 years, 20 years ago. I see solar being the single largest piece at over 50%, wind to being 20% to 30%. And I'm talking about some very unconventional designs for those too. I would love to see nuclear scale-up. But there's other technologies. Geothermal, there's ocean energy. There's a whole variety of things we could do. But really, that is the picture. So I would like to see nuclear play the role that we envision. In fact, I would bet more strongly on fusion than I would on a rapid increase in fission energy. But the joke about fusion, of course, is that it's been 50 years away for 50 years. So we need to do things more quickly than that. ANNELISE RILES: OK, thanks. That's helpful. OK. Last question. Go ahead. LAURI MURANEN: Can I-- can I-- just quickly, quickly, take on that one. What a very, very good question, an important one. And in some places, I would say that some countries are lost cases, I would say. But you need sort of a constructive attitude that, for example, Dan here is showing. But I would say that one other thing that you really require is to have people in these places-- like universities, cradles of curiosity, to sort of boldly as the questions and demand answers. Demand answers. Whether these assumptions that I have are really true, and maybe I could sort of alter my worldviews a bit by sort of going through the facts, the data, and sort of build up your worldview from that. ANNELISE RILES: Thanks. OK, last question. Go ahead. AUDIENCE: So I want to ask Daniel Kammen for a more vocal challenge. So the [INAUDIBLE]. So the [INAUDIBLE] had 10-year energy magnet, so like [INAUDIBLE]. So asking for 50% renewable by 2030. If you look at the [INAUDIBLE], the electricity [INAUDIBLE] makes, current [INAUDIBLE] makes, You agree account for 30%, hydro for 20%, and other [INAUDIBLE] like 5%. So now greenhouse gas-emitting, you know, generation account for 55% currently, right? So other 40% is about natural gas, and about 5% coal. So [INAUDIBLE] question is, the current challenge right now is the government [INAUDIBLE] to shut down the Indian Point nuclear facility near New York City, but [INAUDIBLE] to keep the upstate nuclear operations. The company who operates those facilities-- actually, one company, they were like the opposite. So [INAUDIBLE] keep the downstate, operation has shut down, the upstate [INAUDIBLE] the economics. So my question is, so [INAUDIBLE] if we look [INAUDIBLE] to 2030, if 50% is renewable, but other 50%, the rest percent coming from natural gas, we're talking about-- if you look at carbon emission for an hour basis will be no change compared to the current mix or only slightly different. So my question is, [INAUDIBLE]? What would you say? LAURI MURANEN: Can I take this one? Pardon my French, but the dumbest thing you can do is to phase out nuclear power at the same time as you try to reduce your emissions, especially if your portfolio looks like that. I would try to keep the nuclear generators running up as long as possible, and sort of to focus on their fossil fuels instead of facing on nuclear power and fossil fuels at the same time. Germany's a very good example. By early 2000s, their greenhouse gas emissions haven't fallen down by more than maybe-- less than 10%. And as a result, they've had two goals at the same time, reducing greenhouse gas emissions and reducing amounts of power that they generate with nuclear power. You just can't do those at the same time, unless you have unlimited amounts of money and technical expertise at your disposal. And I'm assuming you don't. [LAUGHTER] DANIEL KAMMEN: I mean, I definitely with that as starting ground. Climate change is the long-term issue we need to deal with. And trying to turn down all the levers-- you know, it's like being a teenager. I don't want to be my parents, right? You have to be pro-something. And keeping the generation you have doing it safely. But New York has a vastly larger solar resource than Germany does per unit area, and Germany ramped up dramatically. New York State has fantastic wind resources. In California, we chose not to count large hydro as part of our renewable mix. You guys, largely by importing Quebec hydro, have chose to count it. So low carbon and then shifting within those. And ultimately, all of these low-carbon technologies and their very vocal advocates need to be on the same page of, decarbonization is the big goal. And then we will sort out the mix over time. So I agree with that. AUDIENCE: If I could just sort of follow up on Max's question. That goes back to your guys' conversation about economics. Because the reality is Yankee upstate plant is closing because it can't compete with methane. So the governor's office has got to sort of be faced with this problem, we don't have a carbon tax yet. So how do you go back in the current environment and push on the economic question. Nuclear can't compete with fossil fuels of today. ANNELISE RILES: But that's a fail-- that's a policy failing, right? You mentioned that over here, right? I mean, the fact is that New York is part of [? Reggie ?]. [? Reggie ?] has done better more recently, but badly botched the ramping up of cap and trade. Now we're starting to hear-- and I don't dare say this in DC-- we're now starting to hear people talking about a carbon tax, even from southern US utilities, southeast. And that's a huge change. No question there are simpler, cleaner ways to do it. A carbon price would be the easiest mechanism to start getting-- you know, the clean energy sources battle it out for a growing market share, and the dirty ones go away. LAURI MURANEN: Just a quick-- I completely agree. I mean, we've been talking about how the external costs of nuclear power have been included in the technologies cost in the past 30 years, but the same hasn't happened with fossil fuels. And I mean, I would propose some sort of a cap and trade system that would sort of take those into account. ANNELISE RILES: Great. Great. OK. So on that legal note, then, we need to thank Lauri and Dan for giving us such a spirited and lucid exposition of the issues, and really entering into this in such good spirits. So thank you very much, both of you. [APPLAUSE] DANIEL KAMMEN: Thank you very much. ANNELISE RILES: Thank you. Well done. Well done. On May 3, 2016, renewable energy expert Professor Daniel Kammen of the University of California Berkeley debated nuclear power advocate Lauri Muranen, executive director of the World Energy Council, Finland, on the question: "Is nuclear power the answer to climate change?" 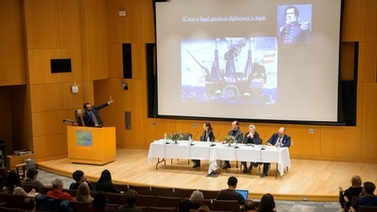 The event, part of the Einaudi Center's annual Lund Critical Debate Series, was moderated by Cornell law and anthropology professor Annelise Riles.